Validation impacts many critical aspects of your business from productivity to compliance to patient safety to product quality. It’s not enough, however, to have an effective validation process. To remain competitive and prepare your business for the future, you need an optimised validation process. This means lean validation. 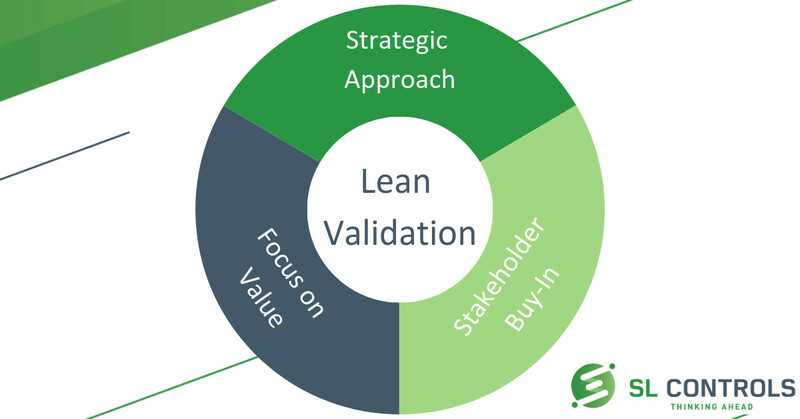 A lean validation approach delivers everything you need from a validation process, but it achieves it as efficiently as possible. This will save you money over the medium-to-long-term, although lean validation is about much more than this. It’s also about improving and enhancing your manufacturing, quality control, compliance, and product development processes overall. Validation is about ensuring your facility manufactures products of consistent quality while also providing documented evidence of this quality. It is also about ensuring systems (processes, equipment, machines) perform as per specification at each stage of the manufacturing process. Providing documentary evidence to prove this is also important. The validation process is essential for product quality, compliance, and patient safety reasons, among others. However, validation can be a long, drawn out, time-consuming, and inefficient process. This particularly applies when validation processes and systems are paper-based. That said, validation can also be inefficient when all or part of the process is digitised, including when elements of validation are automated. When validation is not efficient, your costs increase. It can also take longer to get products to market and it can reduce your competitiveness. It can also cause compliance issues in your business. The solution is lean validation. Lean validation makes the process of validating your manufacturing processes as efficient as possible, saving you time and money. Buy-in from all those involved and accepting that, just because things have always been done this way, doesn’t mean they should be done like that in the future. A focus on value throughout the validation process, i.e. questioning each step, process, action, or decision and asking if it adds value to the validation effort. The aim is to reduce or eliminate anything that doesn’t add value to the validation process. Examples of this include tests that don’t add value and testing duplication. Digitise processes – a good example is approval processes as they often present bottlenecks in validation. Digitising approvals will deliver efficiency savings. Adapting and customising any validation process to ensure it meets the needs of your business is essential. However, a lean validation approach should always be central to the effort.